used to build web pages. reading/writing data to/from file etc. 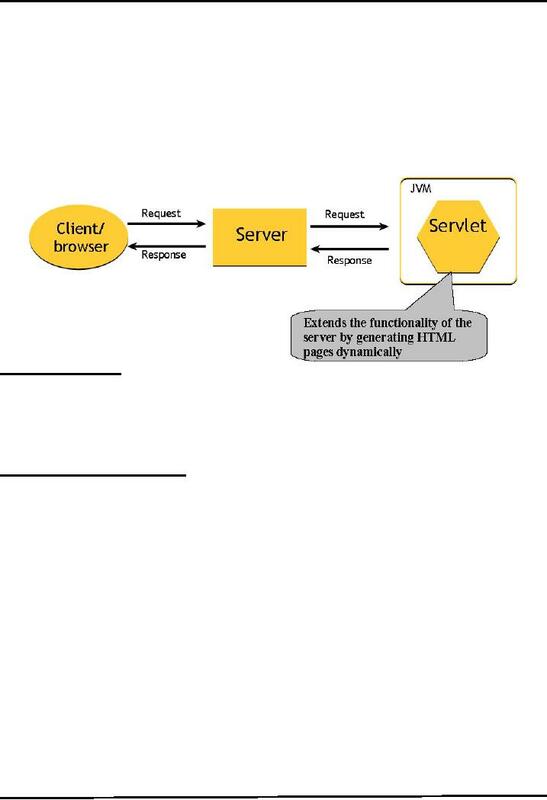 Servlets can use the whole java API e.g. JDBC. So if you already know java, why learn Perl or C.
also available with the web server you'll be using. Let's take a detail look on each step and get some hands on experience of environment setup. download .zip file from the Binary Distributions Æ core section. Note: J2SE 5.0 must be installed prior to use the 5.5.9 version of tomcat. will appear in front of you like shown below. Select the Environment Variables button to proceed. The value is the installation directory of JDK (for example C:\ProgramFiles\j2sdk_nb\j2sdk1.4.2). This is shown below in the picture. Please note that bin folder is not included in the path. 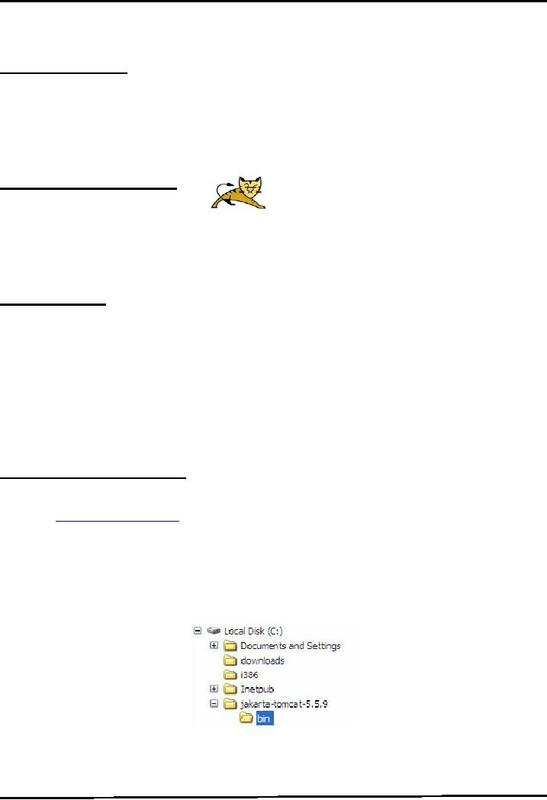 case your web server Tomcat) where the required files are. To Set the CATALINA_HOME environment variable, create another User Variable. Type CATALINA_HOME as the name of the environment variable. will fail with error messages about unknown classes. To Set the CLASSPATH environment variable, create another User Variable. Type CLASSPATH as the name of the environment variable. 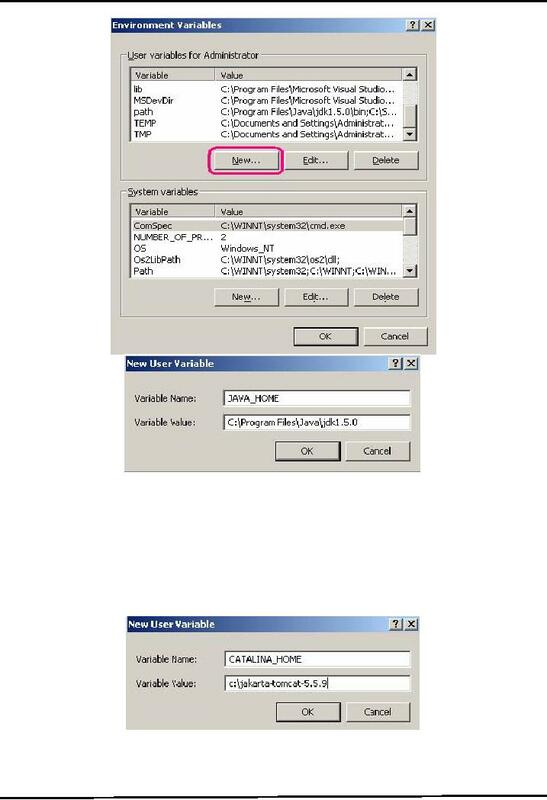 Open the C:\jakarta-tomcat-5.5.9\bin folder and locate the startup.batfile. for local addresses" is unchecked. 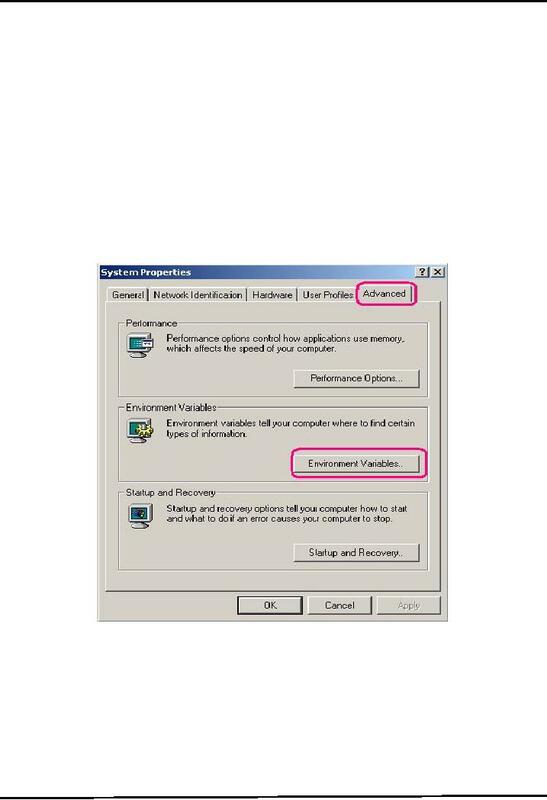 Let's look at the steps involved to accomplish the environment setup using .exefile. executable (.exe) file from Binary Distributions Core section. 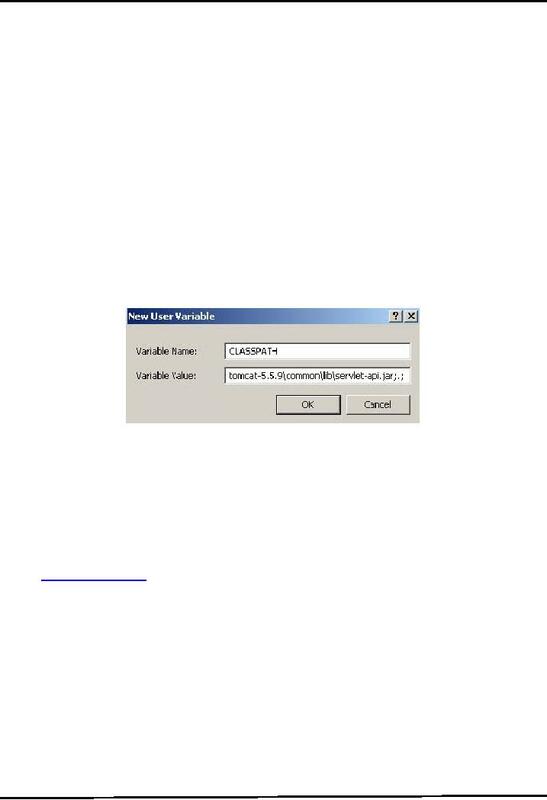 Note: J2SE 5.0 must be installed to use the 5.5.9 version of tomcat. -Run the .exefile by double clicking on it. press Next button to proceed. 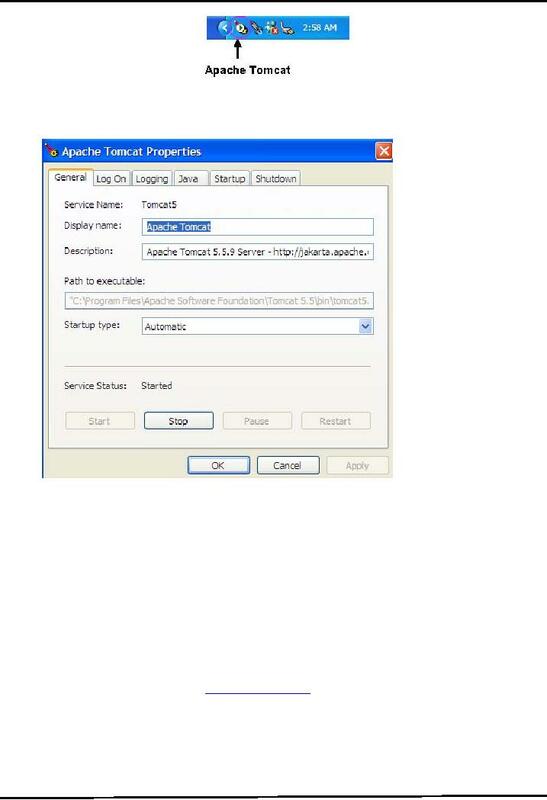 -Choose the folder in which you want to install Apache Tomcat and press Next to proceed. -The setup will automatically select the Java Virtual Machine path. Click Install button to move ahead. Choosing .exe mode does not require completing this step. -Start the tomcat server if it is not running by clicking on Start button.